A few years ago I got an X-Men book by gift in London. 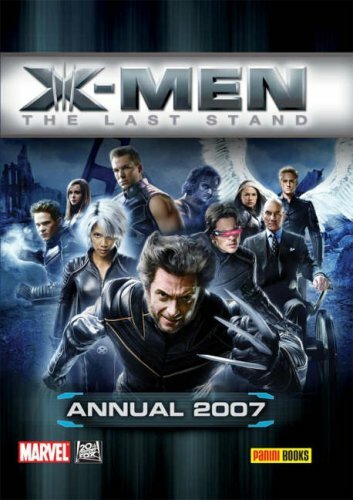 It contains a few scenes from the 3rd X-Men movie, and a small comic where Wolverine and Sabretooth fight each other near a gas pump. Logan realizes that Sabretooth also has a dogtag and they talk. They are then surprised by military personnel, who capture them and put them on a plane. Finally, both escape, and Sabretooth kicks Wolverine out of the plane. So, two questions here. Who is the author of this book? I can't find anything about it on-line. Finally, is this comic inside it canon? Is it original or taken from some other issue? The comic in your annual is culled and abridged from X2: X-Men United: The Movie Prequel: Wolverine and was written by Brian K. Vaughan with art by Tom Mandrake. It's 100% canonical with the X-Men films but not with the main comic continuity. The remainder of the annual appears to comprise a series of images taken from various canon comics and images from the previous (two) films with text written by an unnamed Panini writer.